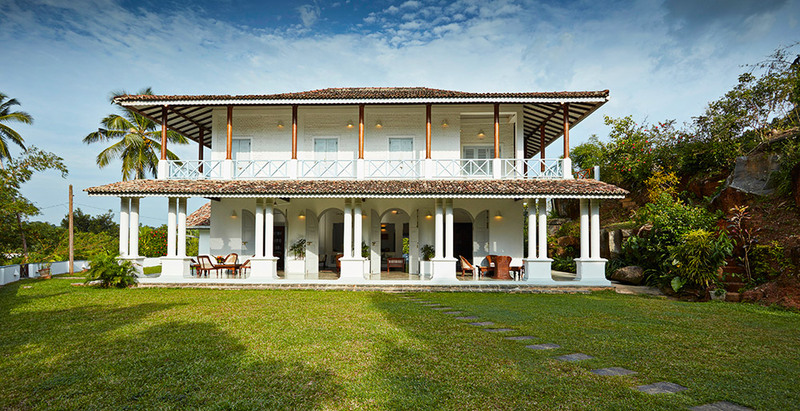 Situated majestically on a hill bathed in vegetation, Villa Pooja Kanda is a tranquil five-bedroom villa just ten minutes’ inland from the beach at Habaraduwa on Sri Lanka’s south coast, close to historic Galle. Wide verandas, cool wraparound balconies, arched doorways and lofty beamed ceilings characterise this serene Dutch-colonial style villa that’s perfect for groups and families looking to connect and unwind. Villa Pooja Kanda’s tranquility is further enhanced by a garden enlivened by birdsong, squirrels and inquisitive monkeys. The villa is fully staffed and comes with a swimming pool, an air-conditioned TV room and a fully equipped kitchen.